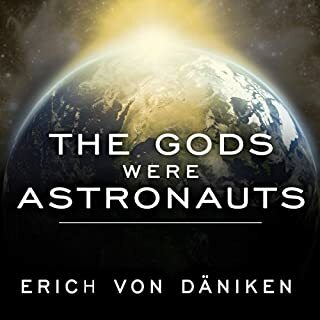 In this follow-up to Erich von Däniken's worldwide best seller Chariots of the Gods, the author reveals startling new evidence that could prove his theory that ancient Earth had contact with aliens. Von Däniken claims that an alien race helped to create the pyramids of Egypt, a claim he based upon the ruins themselves. The Gods Never Left Us contends that recent advancements in biotechnology, astrophysics, engineering, and artificial intelligence not only give us a fresh perspective on his ancient astronaut theory but actually validates it. We are - as a race - embarking on the exact same trajectory of our own interplanetary colonization, just as von Daniken suggested Earth itself was colonized. ETs are definitely at work today. And that affects all of us. "Something here really stinks to high heaven," writes Erich von Däniken. 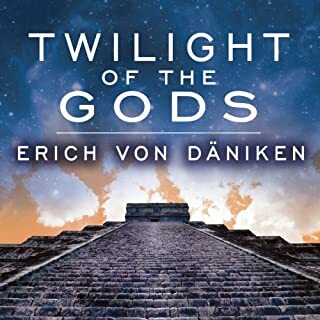 "In Twilight of the Gods," says von Däniken, "I document precisely what it was that left the first visitors breathless as they stood before the mighty stone blocks some 400 years ago. I will show you what archeologists discovered hundreds of years ago and demonstrate how much has been destroyed over the centuries. Intentionally. So very logical it makes me shiver! 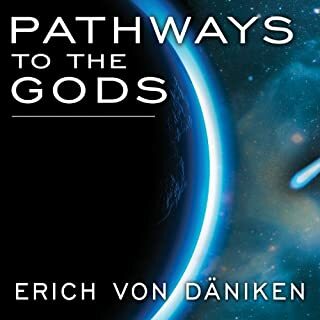 Erich von Daniken has exhaustively researched and analyzed the great world religions, their myths and belief structures, in an effort to find an answer to a question that has fascinated humans for millennia: who, or what, were the Gods described in ancient stories? His extraordinary conclusion? The Gods were not metaphysical beings born of humanity's overactive imagination, but extraterrestrials who left traces of their presence everywhere on Earth. Material is excellent; narrator is awful! A spaceport in the Andes! A computer chart in Egyptian ruins! Primitive sculptures of figures wearing space suits! Erich von Daniken's Chariots of the Gods stunned the world with the archaeological discovery that alien beings once colonized earth. Were human beings created by powers from outer space? Did extraterrestrial giants build the megaliths of Malta and the menhirs of Brittany? Was the Ark of the Covenant a machine built by the astronaut gods? 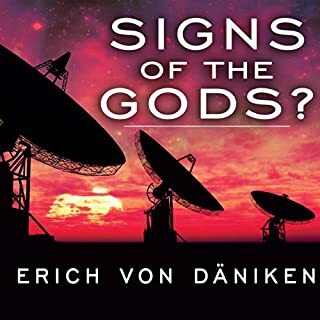 In Signs of the Gods?, Erich von Daniken travels far and wide around the globe to study the many strange phenomena that all point to one conclusion - that many thousands of years ago, Earth was visited by a race of superhuman powers and intelligence. 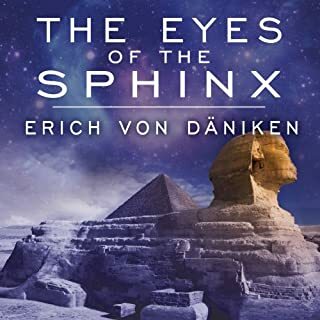 Erich von Daniken, whose books have enthralled millions of readers around the world, now presents astonishing new confirmation for his revolutionary theories. 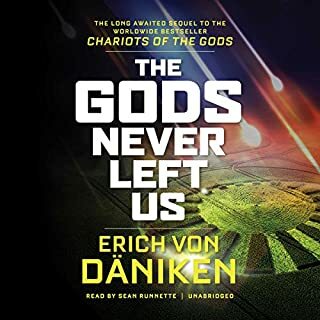 Erich von Daniken's The Gold of the Gods unveils new evidence of an intergalactic "battle of the gods" whose losers retreated to, and settled, Earth. He explores a vast, mysterious underworld of Ecuador - caves filled with gold and writings in solid gold that go back to the time of the Great Flood, bolstering von Daniken's theory of a prehistoric earthly "era of the gods". Never afraid to put forward controversial theories if justified by the data, Erich von Daniken here examines the huge amount of accumulated evidence that points to Earth having been subject to countless visits from extraterrestrials for many years. The dawn of a new century, the building of a new space station, and triumphs in the exploration of space have brought greater interest than ever in the possibility of extraterrestrial life. Legendary UFO expert Erich von Daniken stirs up another controversy with an imaginative supposition: What if the myths of ancient Greece were attempts to describe events that really happened? What if ancient peoples were visited, not by imaginary gods and goddesses, but by extraterrestrial beings who arrived on earth thousands of years ago? The author's research into both ancient mythology and current archaeological discoveries leads him to some explosive hypotheses. Erich von Däniken claims to have never seen a UFO. But in the fall of 1987, on a desert ride, he experienced a close encounter of a very different kind. A being materialized before his eyes, and since the "thing" had no name, von Däniken called it "Tomy". This book is the story of Tomy. Some say that Tomy is a scientific impossibility. Yet Tomy was there, science or not. After all, Tomy had for a few weeks lived among us, and that was enough for plenty of interpersonal relationships. Best-selling author and legendary conspiracy researcher Jim Marrs, who has investigated the recent financial crisis, the JFK assassination, and the national socialist takeover of America, now takes on his biggest subject: the history of mankind. Offering mind-blowing information that will radically alter the way we think about the world and our place in it, Marrs goes beyond the revelations of his classic Alien Agenda, interweaving science and authentic archaeological finds with provocative speculation to show how human civilization may have originated with nonhumans who visited earth eons ago. Great book with excellent narration! Nazca, once only an isolated settlement in the midst of the Peruvian desert, is today the meeting place for archaeologists from around the world. From here you can fly over the celebrated Nazca pampa and appreciate the massive scale of the extraordinary markings on the surrounding landscape. Some of these lines are over 20 kilometers long! 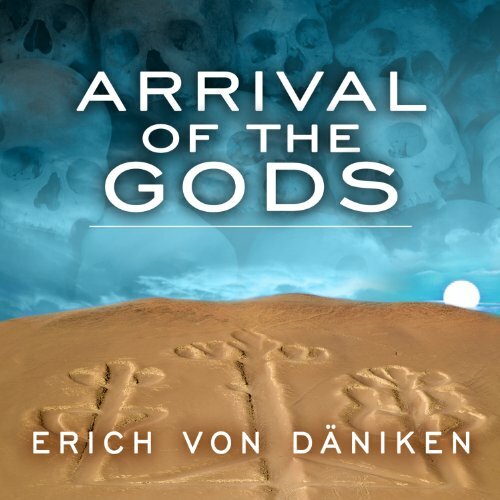 Drawing on over 30 years of study, Erich von Daniken examines the various theories that attempt to explain the Nazca phenomena in terms of religious ritual, ancient roads, and astrological symbols. With the help of numerous photographs taken by the author - half-hanging from a small airplane - he describes the many mysteries of Nazca and puts forward a startling revolutionary solution to one of archaeology's greatest enigmas. I must admit I have been fascinated with the Nazca lines since I was a kid and this book really goes into great detail on those archeological sites. This book should have been accompanied by a PDF reference to help the reader better see what is being described in the book.Some books are better suited to be read the old fashioned way, especially ones that include photographs describing things not easily translatable - this is one of those books. Narration was OK, didn't really like the voice changes that were used to represent the various people Von Daniken was interacting with. It is an interesting book, to this day there really doesn't seem to be a plausible answer to many of the questions associated with Nazca. Other than the occasional defensive rant, where he clarifies what he actually said vs what others have quoted him to say (which I don't blame him for taking the opportunity in his own books to do so! ), the book is very informative!